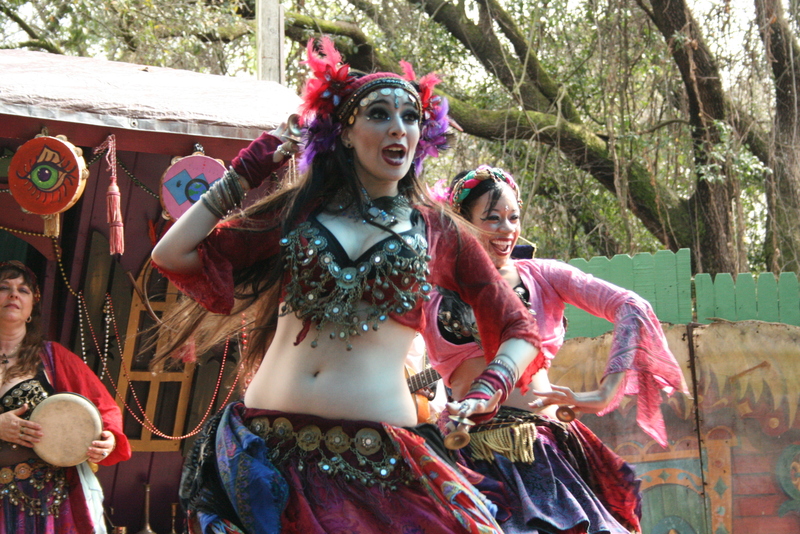 The Bay Area Renaissance Festival is on Saturday and Sunday from 10 a.m. to 6 p.m. rain or shine. It is located next to the Museum of Science and Industry on Fowler Avenue and 46th Street in Tampa. Remember parking is always free. This will be the last weekend to the Bay Area Renaissance Festival at MOSI. The dates are April 4th, 5th and 6th. The theme this weekend is Huzzah To The King and features a huge variety of things to do. The Village of Fittleworth is rolling out a BBQ Championship, Wine and Beer Tastings, Cake with the King, Turkey Leg eating contest, Royal Market and Woodchuck Hard Cider Tastings. This has been at great run and this years festival and this weekend could be the best yet. There will be a Masquerade Ball on Friday, April 4th and a Fantasy Mask Contest on the 5th and 6th. There is just so much going on we want you to check out the website at http://www.bayarearenfest.com for a complete list of what is happening. The festival is located on the corner of Fowler Avenue & 46th in Tampa. Remember parking is free. Saturday March 29th and Sunday, March 30th theme at the Bay Area Renaissance Festival at MOSI is the High Seas Adventure. Lot’s of great things happening this weekend featuring the Best Beard Competition, Wine & Beer Tasting, Tatoo Contest and Trader’s Post. Hours are 10:00 a.m. to 6:00 p.m. both days. Other fun things are Swab the Deck, Press A Wench, Pickle Pie Eating Contest and so many things there are way to many to mention. You can go to http://www.bayarearenfest.com for a list of things going on at this years festival. Fittleworth comes alive and parking is free. There are over 200 artisans for you to check out and food galore. Hey, they even have live mermaids. The festival is located on the grounds next to the Museum of Science and Industry on the corner of Fowler Ave and 46th Street. See you there this weekend. Wonders Of The World Can Be Seen At The Bay Area Renaissance Festival At MOSI This Weekend!!! Wonders of the World is this weekends theme March 22nd & 23rd at the Bay Area Renaissance Festival at MOSI. Take a look at the Belly Dance Championships, Florida State Archery Championships, Fantasy Mask Contest, Wine & Beer Tastings, World Market and Woodchuck Hard Cider Tastings. Get signed up for the Pub Crawl and participate in Henry’s Happy Hour. In addition you can sing for your supper. Other activities include a magical children’s realm, marketplace with over 200 master artisans, glassblowing and more. The Village of Fittleworth is located on the corner of Fowler Avenue and 46th Street in Tampa next to the Museum of Science and Industry (MOSI) and across from the University of South Florida. Hours are 10 a.m. to 6 p.m. both days and parking in free. For a complete list of activities go to http://www.bayarearenfest.com. Oh, leave me an email why you would like to go and you could win a family 4 pack of tickets.